Tough on the outside. Clever on the inside. Simple to complex meteorology applications where reliability is paramount and/or the station is very remote. 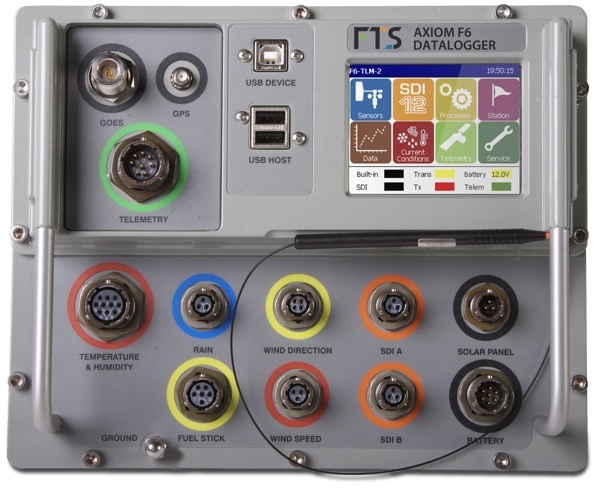 Our Axiom Dataloggers are the most rugged and durable, yet dead simple to use datalogger available. This clever design, born out of our experience meeting the strict reliability demands of the North American weather market, provides an extremely low total cost of ownership. Our Axiom Dataloggers are available with an integrated GOES transmitter and/or integrated AirTalk radio voice communications technology, allowing hands-free, remote data retrieval through a handheld radio.